Since the subprime-led financial crisis more than three years ago, a person’s credit history has become more and more important. Whether you are applying for a loan, getting a credit card, or even looking for a job, a good credit can help you get things done much easier. With the increasing importance of reaching and maintaining a good credit, you need to stay on top of your own credit history. One way to do that is to check credit reports, from all three credit reporting agencies, regularly and keep an eye on any significant change of credit score. There are many ways these days to get a credit report for free. With annualcreditreport.com, the authorized provider of free annual credit reports, you can get one report from each of the three credit bureaus for free. However with annualcreditreport.com, you can only get one report for every 12 months. If you don’t want to wait for a whole year, then you can try with the following provider. You can also get your credit score for free with them, though in some cases, a free score is only provided during a free trial period. 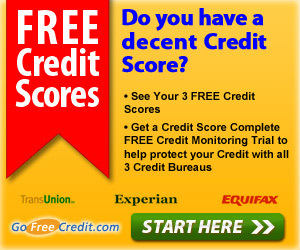 At GoFreeCredit.com, you can get credit scores from all three credit bureaus, TransUnion, Expreian, and Equifax, for free once you become a member of the Credit Score Complete program. You can join the program risk-free and once you joined, you will have instant access to all the three credit score for free during your trail period. As a member of the Credit Score Complete program, you will enjoy unlimited online access to the credit scores. The program will also give you comprehensive personal identity protection from their exclusive 24/7 Triple Bureau Credit Monitoring with Instant Fraud Alerts, which will automatically sends you e-mail alerts whenever new activity occurs in your credit files that could affect your credit score. Remember, you can use the program to check and monitor your credit score for as many times as you want and your credit score will not be affect due to your own monitoring and credit checking activities. Triple Advantage is a product of Experian, one of the three major credit bureaus that provide reporting services. When you order your credit report from Triple Advantage, you will begin a trial membership in the Triple Advantage Credit Monitoring program which will closely monitor your credit reports on a daily basis, allow you to see who’s been checking your credit, and let you check your report for potential inaccuracies and unauthorized activity. Credit monitoring usually begins within 48 hours of enrollment in the free trial period. With Triple Advantage, you can also use their Credit Score Estimator to plan ahead to see how big financial decisions, like applying for loans or maxing out credit cards, may impact your score. Triple Advantage monitors all 3 of your national credit reports daily for key changes! 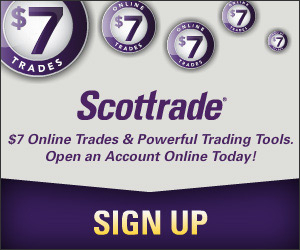 Enroll in your FREE 7-day trial of Triple Advantage and get your FREE credit score just for trying it!